As coaches and consultants who work directly with the owner of a restaurant, we often run into a large roadblock. 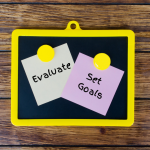 This roadblock can often stop the process of implementing systems, stall the process of making more money and often derail the restaurant into failure. What does this roadblock look like? YOU! The independent restaurant owner. Ok, maybe not you. Maybe it’s another key player, partner or manager on your team. But, maybe it is you or even just slightly you. Either way, it’s not good. 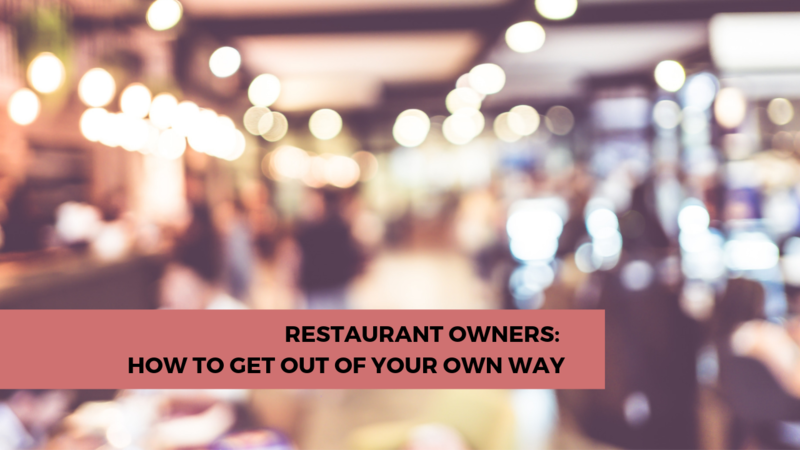 What’s causing you, the owner of a restaurant, to become such a roadblock? FEAR! Fear of success. Fear of failure. Fear that you are the ONLY person who cares. Fear that you are the only person who can do that job. Fear you are the only person you can count on! And the sad reality is that when there is fear, you get poor results or no results at all. A while back I was at lunch with 20 restaurant owners during an Elite Member meeting. As we were waiting for our meal, many small conversations were taking place. One of which I was deeply involved in. I wanted a couple of the owners to really understand one very important lesson: Giving up control gives you control. It was one of those A-ha moments. Say it out loud, “giving up control gives you control,” and think about what that statement means to you. It doesn’t mean that you give the keys away and pray your managers get it right. It doesn’t mean you abdicate to another the responsibility of making your restaurant profitable. It doesn’t mean you aren’t in the picture anymore, even if you don’t run the restaurant. It DOESN’T MEAN YOU AREN’T IN CHARGE! You don’t like being fearful and you’re ready for change. You are willing to trust others to do the job, even if it’s only 85 percent as well as you can do it and are ready for change. You know that you have to allow others to share in the mountain of responsibilities and tasks, and they may do it better than you because they don’t have to focus on everything you do and you are ready for change. You understand the importance of checking that things are getting done and are ready for change. You are ready to take your restaurant to the next level, you understand you can’t do it alone and you are ready for change! Look, this is a journey every one of us has to take. But the reality is, no matter how fast or slow you move, once you learn this very important lesson, your fears will go away and you will have the confidence to give up control to gain control of your business and take it to a whole new level of success and profitability! 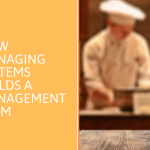 If you’d like to learn more about how the owner of a restaurant can give up control to get control and how to use systems in your restaurant, request a free demo of our restaurant management software, SMART Systems Pro. For more examples of systems you can use to hold your managers accountable in your restaurant, download our free report, The Secret to Holding Your Managers Accountable. 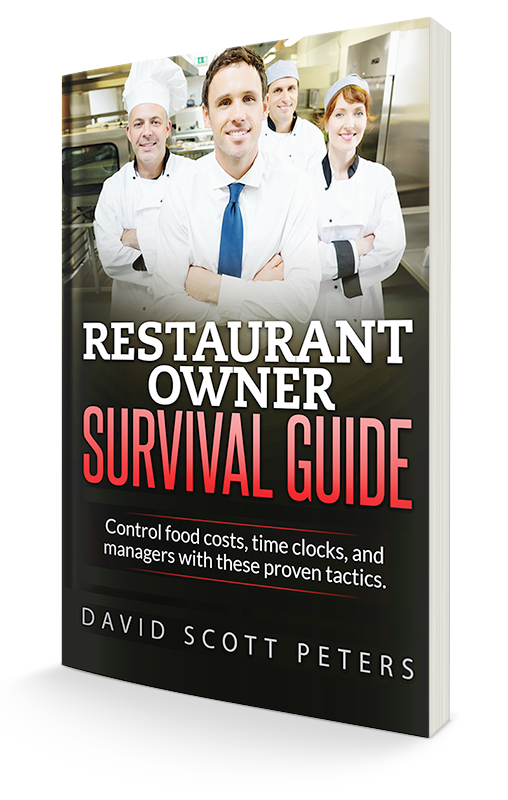 You can also view tips for restaurant management training and restaurant management systems in your restaurant on this YouTube channel playlist.